I don’t always eat burgers, but when I do it’s the Juicy Bacon Burger! This burger is one of the juiciest, most decadent hamburgers I’ve ever eaten or made in my life. How can any sandwich with egg, cheese, and bacon be wrong? To help you get to know me better, I’m not a fan of sandwiches or hamburgers so to endorse this hamburger is a BIG DEAL. This recipe does come with a warning: you will need several napkins and a nice cold beer to enjoy the ultimate burger experience! *If you don’t own a Kitchen Aide mixer with the meat grinding attachment, have your grocery store butcher grind the meats for you. Preheat the stovetop grill pan and cook the bacon on medium-high until brown and crispy. Drain the bacon on paper towels while reserving the fat of the bacon in the pan and return it to the stovetop. Combine the ground meats in a bowl and season with kosher salt and fresh cracked pepper. 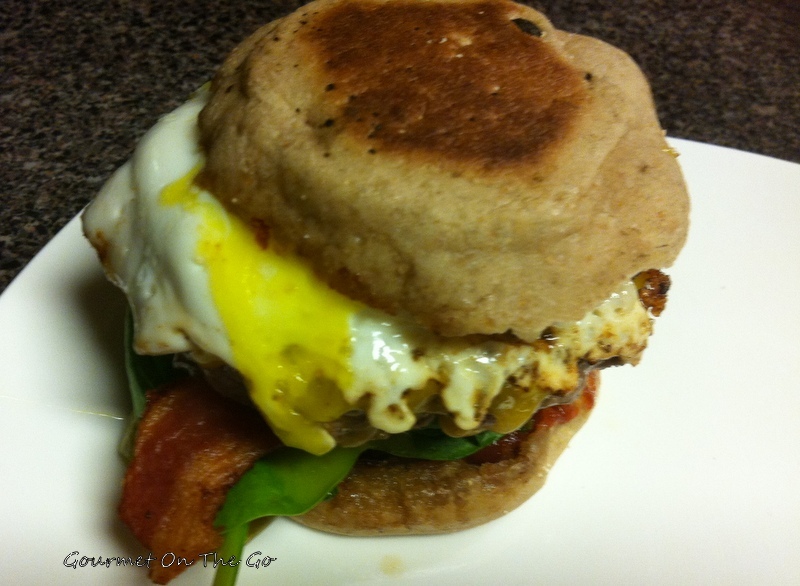 Shape into patties that are a bit larger than the English muffins. Place the burgers in the hot skillet containing the bacon fat and cook the burgers 3 minutes on each side for doneness that is medium rare. Cook an additional 2 minutes on each side for a well done burger. Place the sliced cheddar cheese on top of the flipped burger during the final minutes of cooking. While the burgers are resting (the resting step is VERY important because this is what makes the burgers JUICY), lightly grill the English muffins for 1 minute. Pan fry each egg to your level of doneness (I prefer the yolk to run to add to the “juiciness”). Rest a patty on each of the bottom layers of the English muffins, followed by sliced pickles, red onions, fried egg, spicy ketchup and ENJOY! I’ve never needed a good reason to enjoy a warm soothing bowl of soup. While searching for a new way to give chicken thighs a makeover, stumbled across a delightful dumpling recipe from Dawn Vezina, my daughter aka “the palate” recommended the basil twist and a star was born! 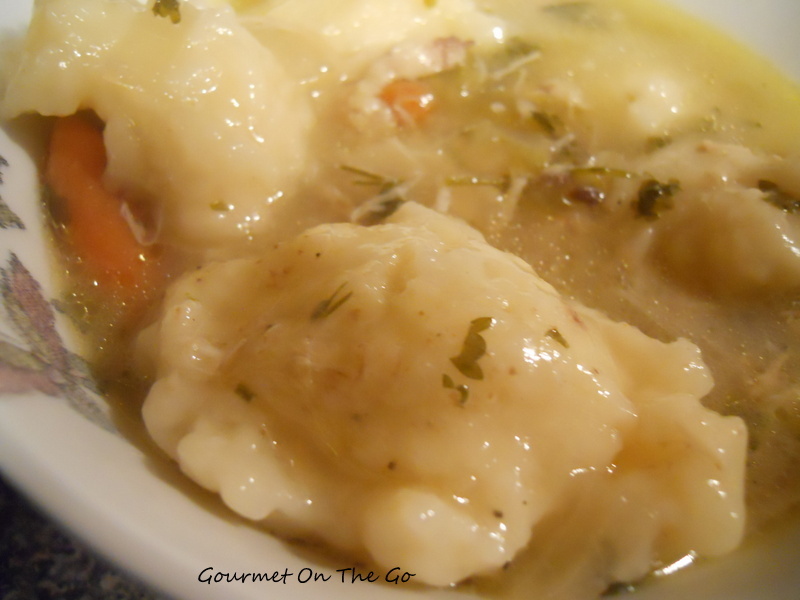 If you prefer dark meat over the traditional chicken breast, you will find this recipe exceptionally tasty and combined with the light, fluffy dumplings this soup is perfect to combat the winter blahs and the dreaded flu. The REAL perk is this soup is even BETTER the next day! In a large stock pot, combine the chicken, celery, carrots, onion, chicken broth, parsley, minced garlic cloves, beef bouillon granules, salt and pepper. Add water to completely cover the chicken. Bring the mixture to a boil, reduce the heat , cover, and simmer for 2 hours or until the chicken is cooked through to the bone. Remove the chicken and let stand until it is cool to the touch. Remove the skin and tear the meat from the bones, returning the skin to the soup. Doesn’t this salad SCREAM fresh, vibrant, and delicious? Ok so just a quick confession… I LOVE CORN! Cob, creamed, steamed, in pancakes (you’ll get that recipe later), in salads, you name it, I LOVE IT..whew ok I’m better. 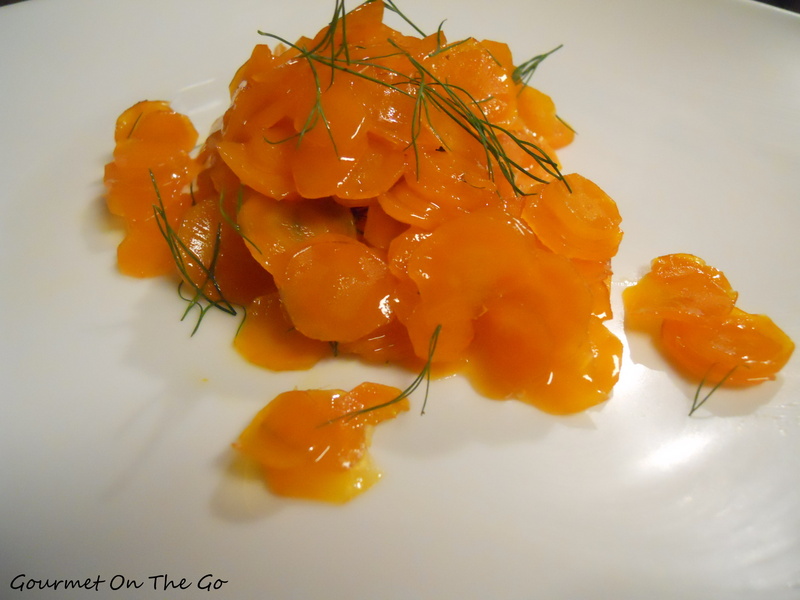 I ran across this recipe 5 years ago by Cuisine magazine, and after a couple of tweaks, it has been my FAVORITE HANDS DOWN. 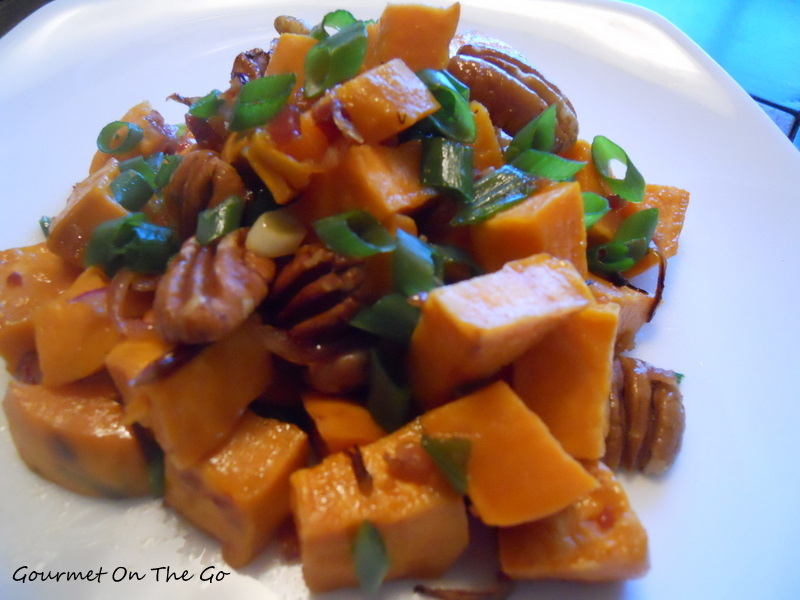 I decided to share this recipe during a “‘Girls Night In” and after a couple of bottles glasses of wine, the ladies not only cleaned their plates, but I believe they may have been licking of the plates as well. Take a few minutes to create this easy breezy masterpiece, I’m sure it will be your favorite too. Enjoy! Blanch the corn in boiling water for 3 minutes drain and cool. 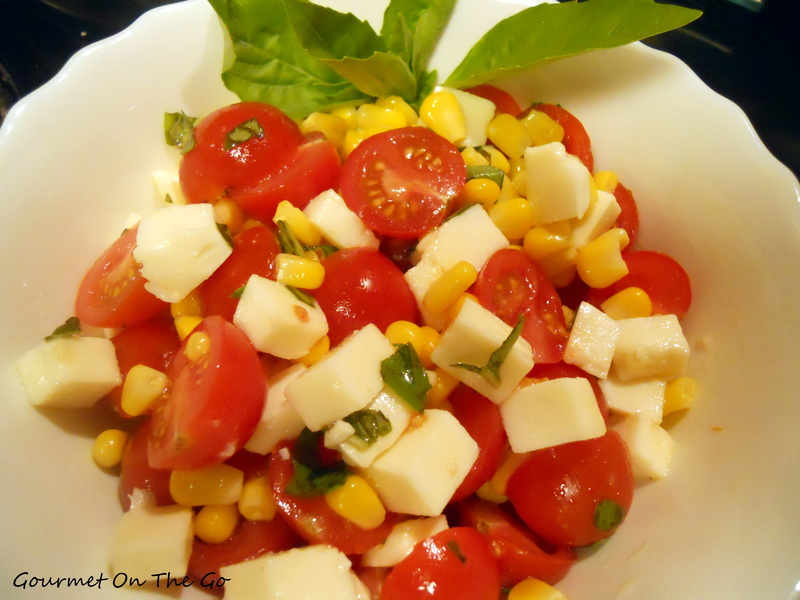 Combine tomatoes, mozzarella, basil, and corn in a large mixing bowl. In a separate bowl, whisk vinegar, olive oil, sugar then toss with the corn mixture. Salt and pepper to taste and serve. As I’ve gotten older, I’ve become quite the wine connoisseur and fearless in my choices. As an extreme novice I shied away from Red wine not understanding it doesn’t belong in the fridge. Once the learning started, the world of wine opened up. I’m not sure if that’s a good or bad thing, but the optimist in me chooses to believe it’s GOOD! The delicate tones of a Merlot compared to the bubbly delights of a Riesling can compliment the best Ribeye or the perfect Salmon. Not only am I an optimist, but I am adventurous when it comes to food and libations, so imagine my delight when I stumbled across this Mulled Red Wine by Marcia Kiesel. Armed with the perfect glass as my weapon, I took no prisoners! Enjoy! Faced with two half-empty bottles of Zinfandel, F&W Test Kitchen supervisor Marcia Kiesel came up with this warm mulled wine, spiced with fennel seeds and cinnamon. Put the peppercorns, fennel seeds and cinnamon in a large tea ball or wrap them in cheesecloth and secure them with kitchen string. In a large saucepan, combine the aromatics with the wine, bay leaves and orange zest. Cover and simmer over low heat for 10 minutes. Remove from the heat and let stand, covered, for 30 minutes. 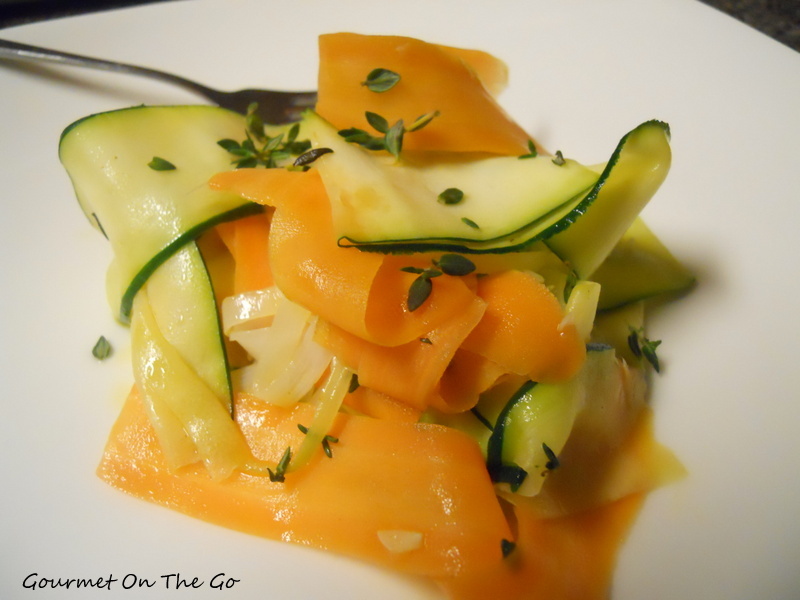 Remove the aromatics and orange zest strips. Stir in the sugar until dissolved. Serve warm, in glasses or mugs. MAKE AHEAD Once cooled, the mulled wine can be poured into a pitcher and refrigerated for up to 3 days. Reheat gently.